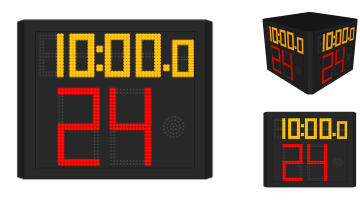 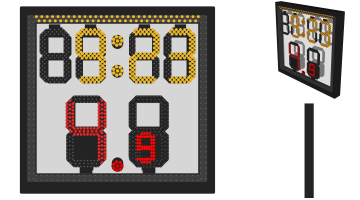 The shot clock is a special display which be setup on the basketball stand. 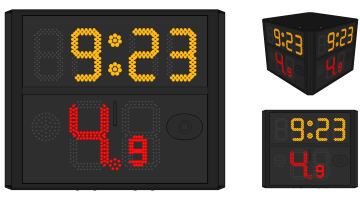 Its function include: Display match timer and 24 second timer. 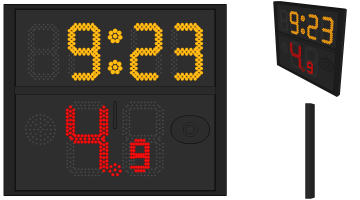 Display timeout timer during timeout. 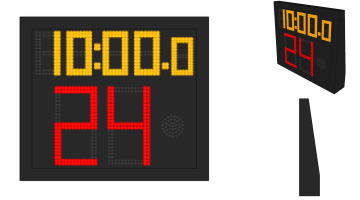 Buzzer when match timer or shot clock timeout.